Many entrepreneurs in small business America today find themselves managing the sales force – the lifeblood of business success - and are ill-equipped to do so. 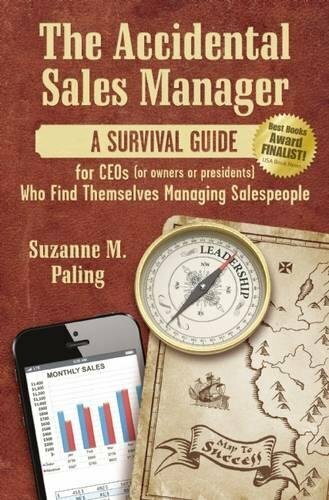 Longtime sales consultant, Suzanne Paling, provides these busy leaders with the encouragement, advice and tools to successfully hire sales producers and create a high-functioning sales department. Each chapter in the book begins with a vignette that comes directly from the author’s interactions with clients, and takes a sympathetic but realistic aim at the fears, misunderstandings and frustrations that occur in sales environments. Typical sales management dilemmas are demystified through easy to understand examples, charts and worksheets. Holds the entrepreneur accountable, no matter how busy. "Concrete, practical, and realistic guidance"
—Elizabeth W. Brown, President, Softeach, Inc.